If you are new to the world of dance, a universe is about to open for you that you had no idea existed. A non-dancer may believe that dancing is moving to music. He may believe that learning steps which you repeat during your performance are simply moving to the sound of music. Saying dancing is moving to music is like saying Leonardo da Vinci, put paint on canvas. It is correct, yet vastly incomplete. Below we are going to explain the basic elements of dance and what practicing these elements does for a dancer. BASTE is the acronym that explains the basic elements of dance. It stands for Body, Action, Space, Time, and Energy. Different types of dance and different skill levels are evident in dance. But these five basic elements are of every type, style, and level of dance. The human body is a living, breathing, growing, and changing machine. 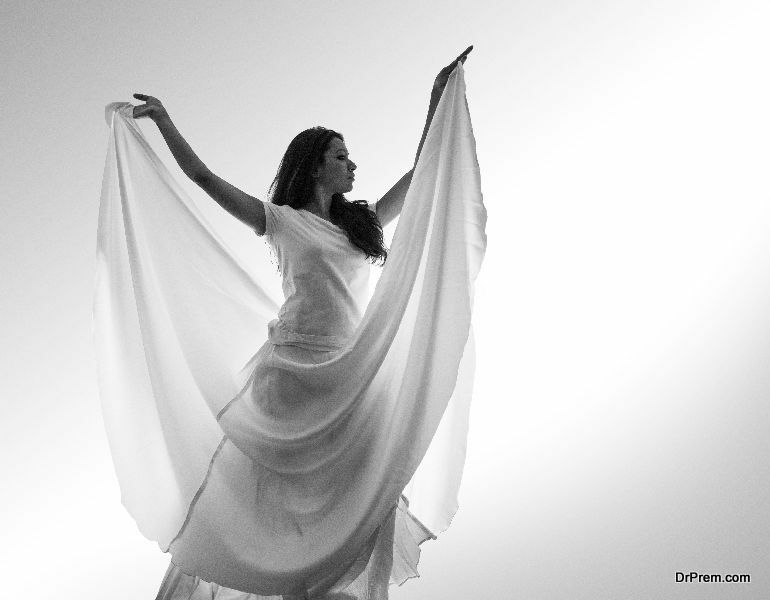 The dancer feels every inch of her body while she is dancing. Others see what her body is doing. Dance is a method of moving the body while controlling the muscles. It is understanding the physical abilities of the body and developing skills that go beyond them. It is also about confidence, ambition, and self-esteem. A dancer is made up of muscles, organs, feelings, and mental abilities while dance is the channel which allows complete control and makes the body a work of art. From where the dancer places her foot to the graceful movements of her fingers, and even the expression of her face; all of this puts the control of the body into the action of movement. A dancer must know the amount of space between herself, other dancers, and props. While she is focused inwardly on the body, and performing her actions, she must know when and where she will make contact with other dancers. A dancer can dance if she does not learn to judge and use the space she is given in which she is working. The earth moves continually. The position of the sun and moon are predictable. Timing in the universe of dancing means knowing when to move. When to step, when to run, jump, or spin. Dancers utilize their time and timing in a way that brings the efforts together to create the performance. All dances (fast or slow) use energy. A flowing gesture with an arm, or an abrupt stop allow the audience to receive the message from the artist. This is how we know if she is expressing joy or pain. The way she uses energy is the final element of dance. As you can see, dance is complex. The tools a dancer use goes beyond covering her body. A quality dance costume from industry leader Alexandra Costumes supports the body and moves the way it needs to. A low-quality costume can ruin all the aspects of the elements of dance. It is a tool to help you focus on your body and not your costume. A dancer must eat well, rest well, and drink properly. Everything she puts in or on her body has an effect on her. A good dancer never forgets BASTE and she never forgets to wear proper gear. World’s best tennis court is not real!